From the 23,000 pieces of debris in Earth orbit that are larger than 5-10 centimeters that we can track and catalog, to the hundreds of millions that we cannot, there is little question that both big and small objects whizzing around at lethal speeds endanger the prospects for civilian, commercial and military missions in outer space. You may pick apart what the movie “Gravity” got wrong, but what it got unforgettably right was the sense of devastation wrought by an orbital debris cloud that destroyed equipment and killed three astronauts on impact. 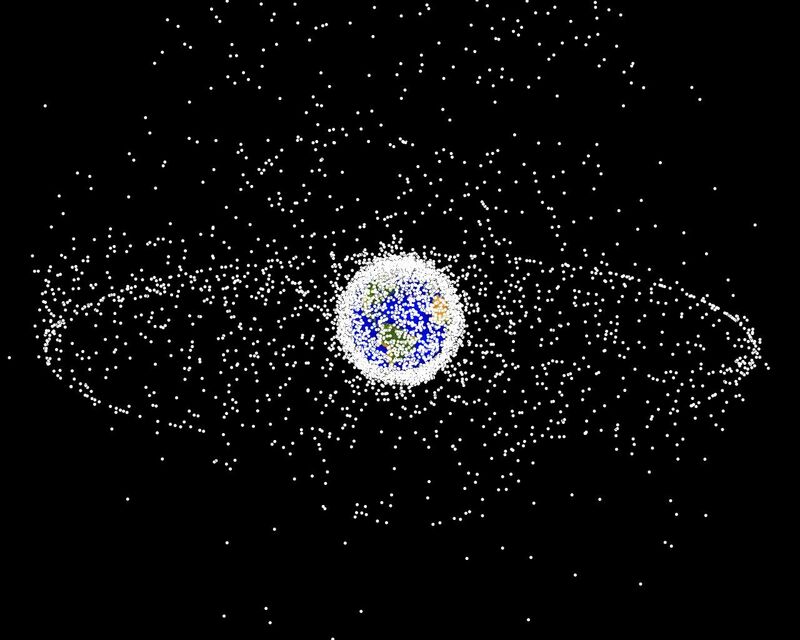 No matter its size, space debris can be lethal to humans and machines alike. China’s actions were widely seen as an anti-satellite test (ASAT), a signal of the country’s expanding military space capabilities. Having the ability to shoot down a satellite to gain a military advantage back on Earth exposes the basic nature of the threat: Those who are most dependent on space assets – namely, the United States, with an estimated 46 percent of the total 1,886 currently operational satellites – are also the most vulnerable to the space debris created deliberately. There is no doubt that the aggressor will also lose in such a scenario – but that collateral damage may be worthwhile if your more heavily space-dependent rival is dealt a more crippling blow. The set of government or commercial solutions to counter orbital debris – whether lasers, nets, magnets, tethers, robotic arms or co-orbiting service satellites – have only fueled the prospects for a stealthy race for dominance in outer space. This is how we have ended up in a counterspace race, which is nothing like your grandfather’s space race. In a fundamental way, this new race reflects the volatile geopolitics of peer or near-peer competitors today, and there is no getting away from it in any domain. Just as on Earth, in the cosmos the world’s top space powers – the United States, China, Japan, Russia, India – have moved from merely space situational awareness to all-out battlespace awareness. If things stay the course, accidental or deliberate events involving orbital debris are poised to ravage peaceful prospects in outer space.